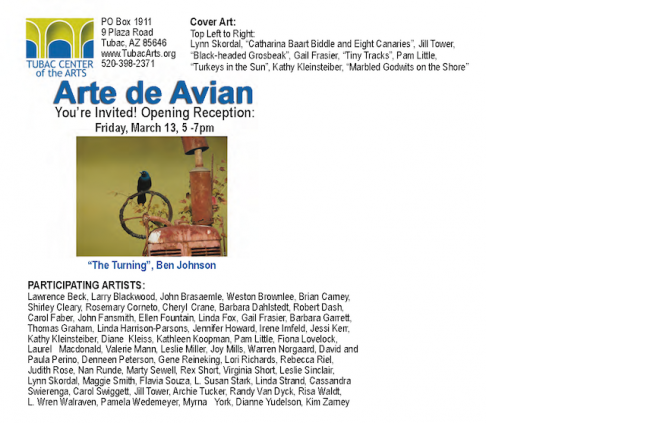 If you are in the central or southern part of AZ next week, stop by the Tubac Center of the Arts where they will hosting an exhibit entitled“Arte de Avian” from March 13 to April 26 with an opening on the 13th from 5- 7 pm. 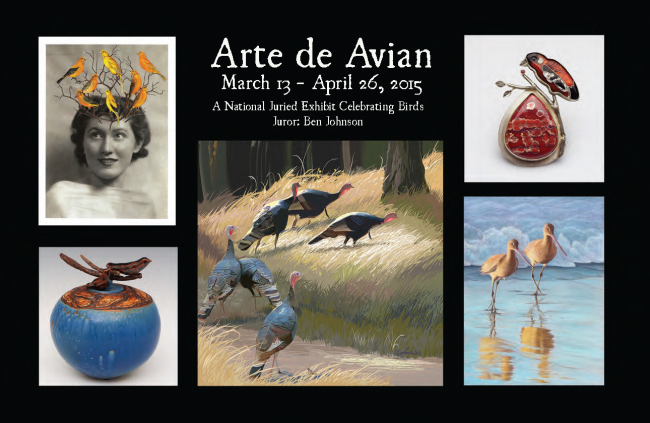 Arte de Avian is a nationally juried exhibit of art based on birds and birding, and I am honored to be participating in this show. Below is the listing of all artists participating.